Just kidding, I’m not getting ready for the Zombie Apocalypse. But I do enjoy making myself as self-sufficient as I can, and yesterday I took another step in that direction. It somehow seemed appropriate that I take the occasion of the 4th anniversary of Sweetie’s passing to play in the kitchen with the goat milk that I have been collecting from Myrtle. And while he would not have appreciated the mess I made, he would have found a great deal of joy in how much I was enjoying myself as I experimented with making not 1, but 2 kinds of cheese. I have been following Leigh’s adventures with her goats and homestead for quite some time, so earlier I had checked out her archives for the info I needed, as well as doing a little additional research online. Can’t have too much education when starting a new project! 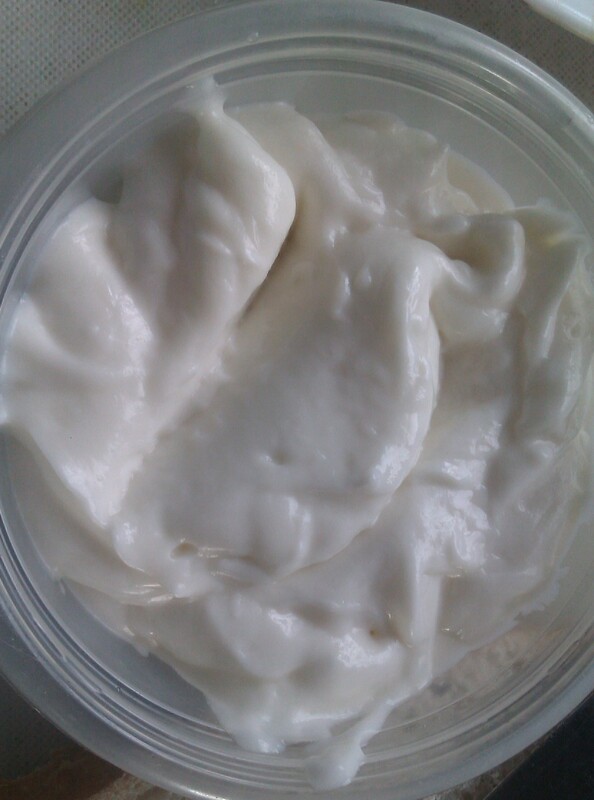 I had been scooping the cream off the milk in the fridge and putting it in a jar in the freezer, and Saturday morning, the jar was finally full enough to try my hand at making butter. It was a warm day, and once it solidified it was too warm to stay cohesive until I could take a picture of it. A little time in the fridge though, and I had butter! 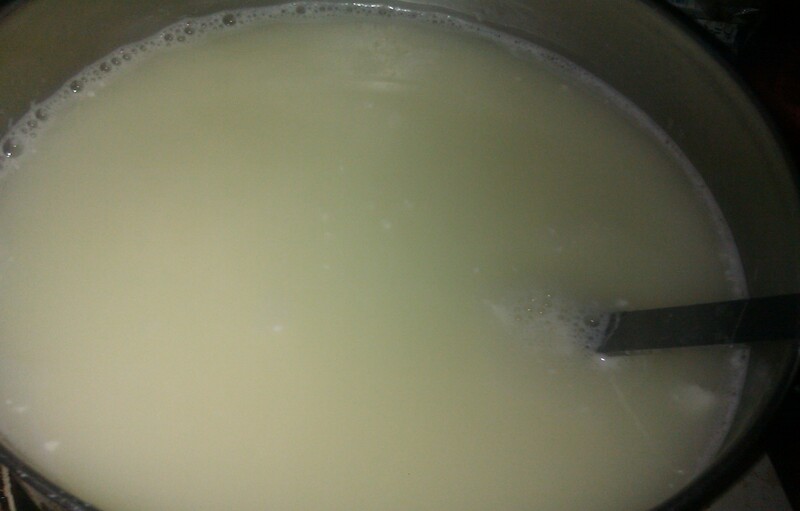 I find the taste difference between cow’s milk and my goat milk more noticeable in the butter than in the liquid milk. Not objectionable, just different. I was already aware that it wouldn’t be the standard “butter yellow” that we are used to in store-bought butter, but that doesn’t bother me in the least. Used on something (like the fresh corn on the cob I shared at Mom’s for dinner that evening) it is very tasty. 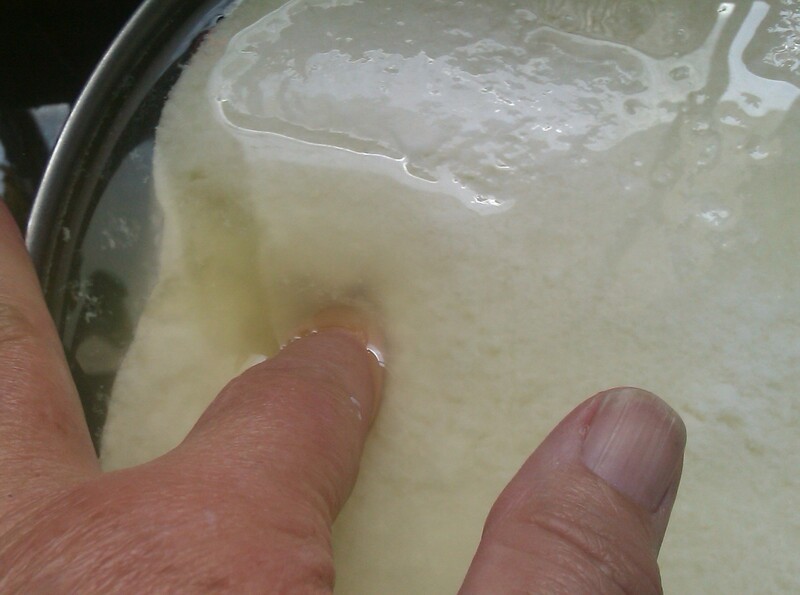 Yesterday morning, I got up ready to dive into cheese making. I had read several things that indicated that mozzarella might not be the easiest cheese to start with, but I laughed in the face of danger. I’m not ready to do hard cheeses yet, and I’m not a huge fan of chevre, so mozzarella it was. 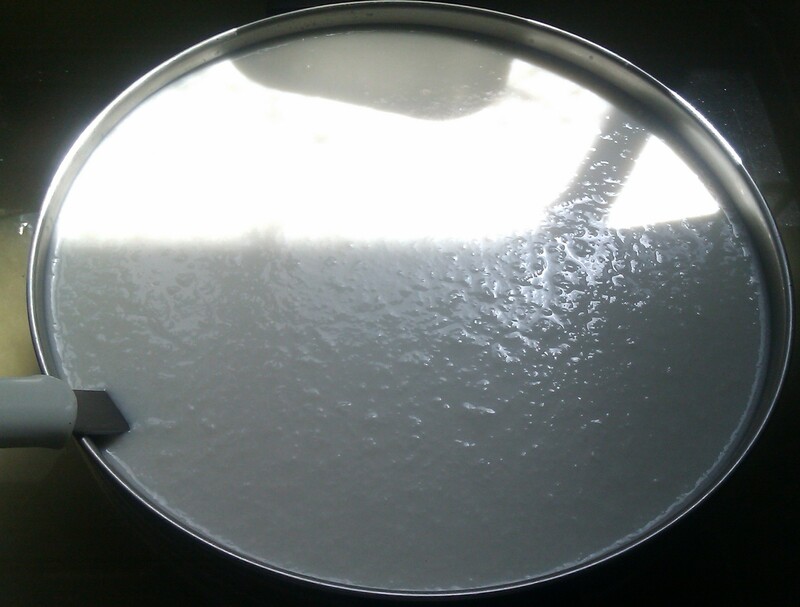 I added my gallon of milk to the citric acid in a pot set in a sink full of hot water. Then comes the really fun part – stretching! I had put a pot of water on the stove earlier to heat up, and found out that on low, the front left burner kept the water at the perfect temperature (140-150 degrees). I had bought a brand new pair of insulated rubber gloves for this step, because that’s a little warmer than I’m comfortable with. I dropped about half of the curds into the hot water, breaking them up with my fingers so the heat could get into everything. You work the cheese, lifting it up out of the water and back down as it cools. The transformation is very cool, at least to my cooking geek. 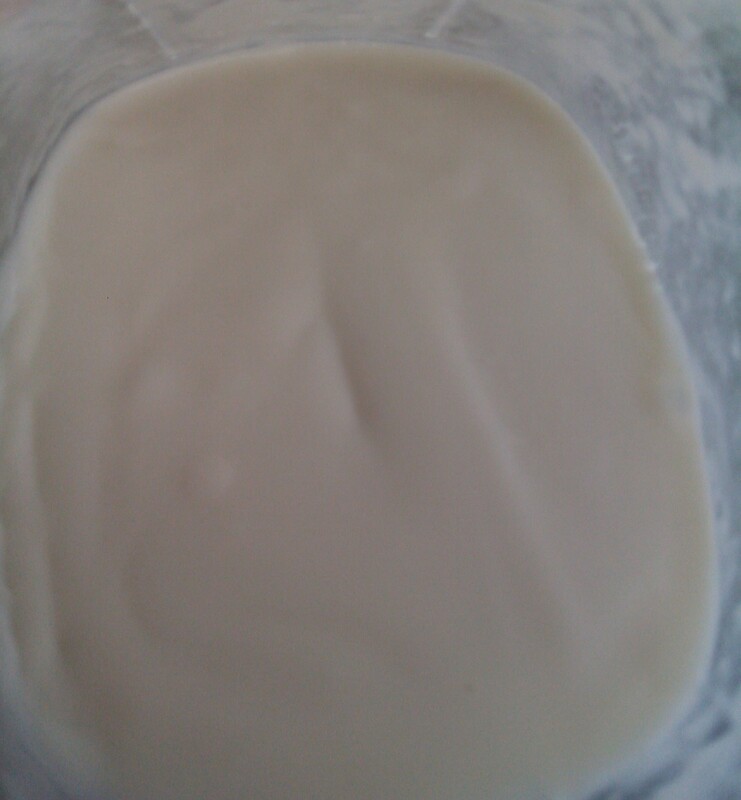 When you start, the curd is kind of grainy looking, but after a short while it gets glossy and workable, kind of like taffy. Couldn’t really get pictures of that part, since I was home alone, but this is what I ended up with: Isn’t it beautiful?! This got drained and salted also Plus, I now have whey in the fridge to play with. 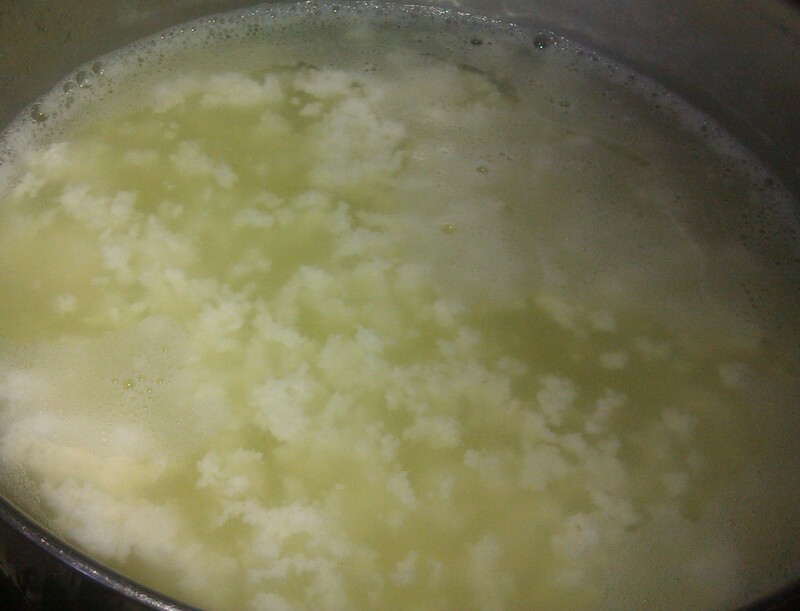 Finally results: 14.9 ounces of mozzarella, 5.4 ounces of ricotta, and a half-gallon of whey. 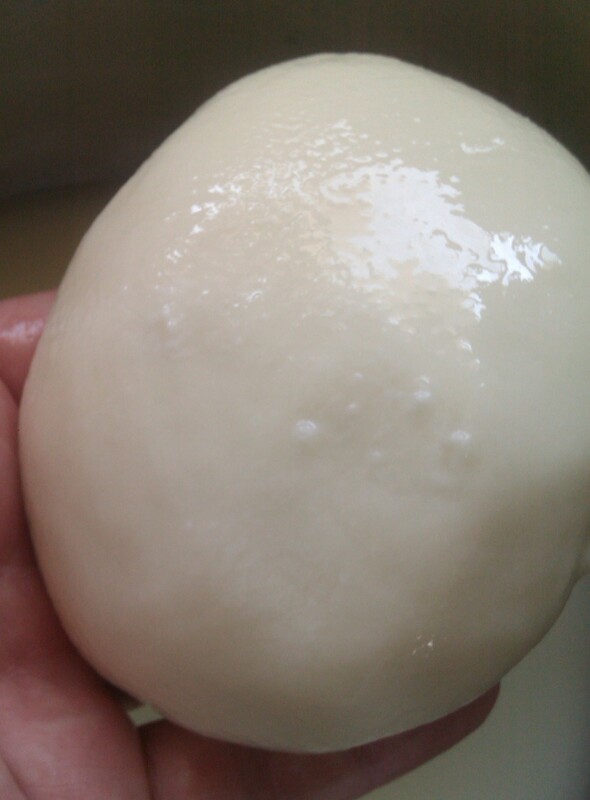 I used some whey in a brine that the mozzarella sat in for a couple of hours. 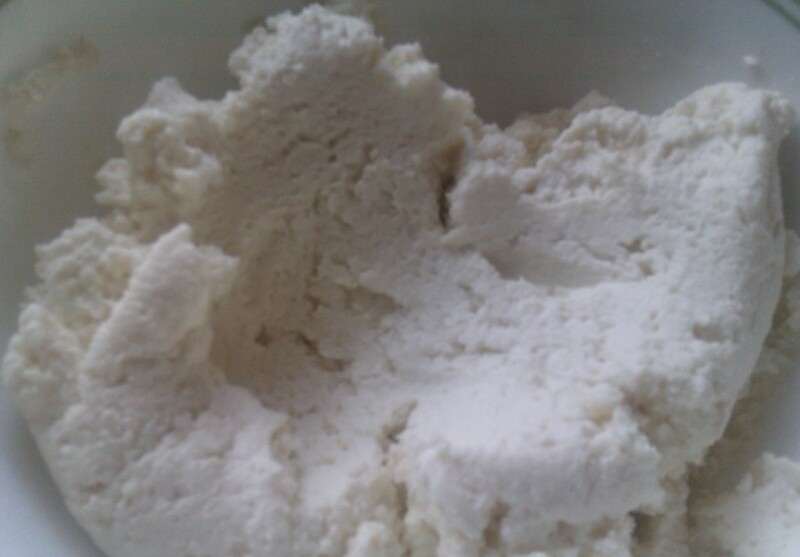 The ricotta is wonderful, very tangy and smooth. 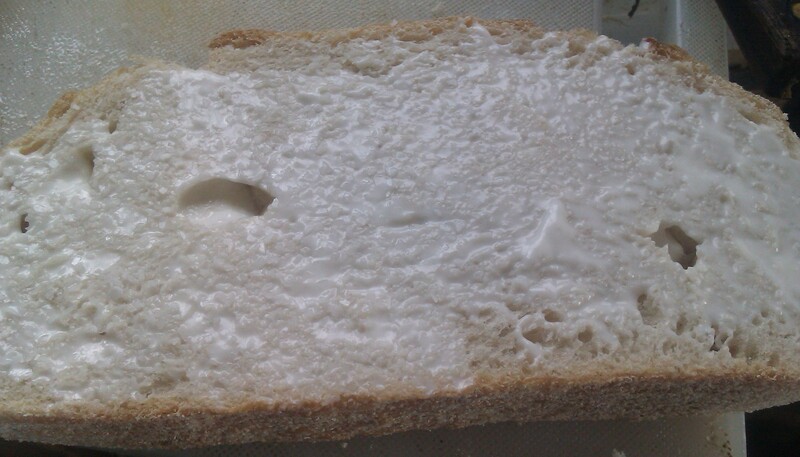 The mozzarella is very firm (I hesitate to use the word tough, though that was my first thought). It shreds very nicely and melts beautifully (yes, I tested it on a piece of french bread set under the broiler. Yum!) I am now researching how best to use the whey. I’m not getting a ton of milk out of Myrtle, but next year I will hopefully be milking all 3 of the does. My goal is to make hard cheeses like the daughter of one of my friends used to (before she got married), and to try my hand at Camembert. For now, I will be satisfied playing with a gallon at a time. I started a Dairy Journal, so that I can keep notes on what I did and how it worked. I am also slowly working on getting the garden back up and running. I’ve weeded 2 beds completely, and rescued the rhubarb at the end of a third bed (I thought it had died off, but it was just buried under grass. Freed from that and with a top-dressing of alpaca poo, it has made a very happy recovery). My back only allows so much digging, but I’ve got peas, beets, spinach and chard in the ground. Hopefully, they will produce something before summer gets here. The sheep and goats are very happy to deal with the weeds I’m pulling from the beds, which haven’t been really worked in 5 years. I get my garden back, and they get snacks; it’s a win-win situation!